Our customer's satisfaction is very important to us as we try to offer the highest quality of service. Many of our customers express their satisfaction with our work by posting their appreciation in their own words. We would like to share some of them with you. I'd like to thank Karl Business Machines for a excellent repair to the Smith Corona Clipper I will be gifting to my wife this Christmas. She fell in love with it while we were browsing in an antiques store. We left without it, but I went back the next day and bought it. It was in worse shape than I thought. I took it to Karl's Business Machines and I couldn't be more pleased. The staff is nice and very knowledgeable. I just picked it up and it is better than I expected. Everything works as it should and every keystroke is silky smooth. My wife is sure to love it even more now that it is good as new! I enjoyed my experience with Karl Business Machines. 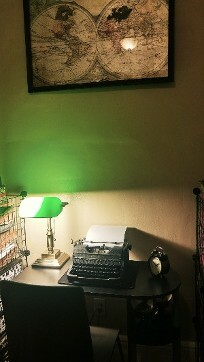 I bought in a typewriter I purchased on line to be repaired and serviced. I'm glad that I found them because it was damaged in transit and I would've been stuck with a broken typewriter. I was asked about my budget and they actually found the typewriter I was originally looking for! How ironic is that? It runs so smoothly, they did a great job at servicing it and I am happy with my purchase. If you're looking for a vintage typewriter, Karl Business Machines is the place to go. You won't regret your decision. Yes Virginia there is a Santa Clause and he goes by the name of Rick. He does not work at the North Pole but at Karl's Business Machines. I dropped off a 1930 Underwood typewriter hoping to get the machine in working condition. Rick said it needed extensive work but he was able to get the machine to work so I could give it to my daughter for Christmas and refused to give me a bill.There really are nice honest people still out there! Highly recommend this business. I have had Karl Business overhaul and repair seven manual typewriters so far. (I collect them.) They do a fabulous job, and their prices can't be beat! I've brought them machines that don't work at all, but come back to me as fresh, snappy, and smooth as they were when they were new. Rick is easy to talk to, honest, and straightforward. Highly recommended! My father-in-law has an IBM Wheelwriter 5 typewriter that he uses daily. It is like his right arm missing if there is a problem. On Thursday night, he had a problem with the machine that rendered it unusable. The alignment was off and he could not type with it. I called Karl Business machine, who even at 5pm at night made the time to help diagnose the problem over the phone. I can't thank him enough, and I hope everyone will consider using his company for all your business machine needs. Thank you for an outstanding job! 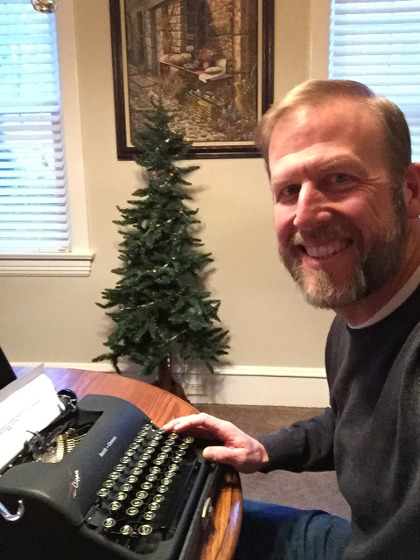 I wanted to let you know how happy the office was with your service of our IBM Selectric III. It was damaged in the move and I was very upset! Our old service provider refused to come to our office, so I found you through recommendation on FB and the internet. What a great find! Rick was understanding and came out to our location and loaned us a typewriter during the repair. Not oly did the typewriter get fixed , it got an overhaul! Most Excellent! I will tell eberyone that they should use Karl Business Machines!!! Thanks again! Thank you so much for the great repair of my Remington "Vertical Adder" Model 21. As I may have mentioned, this typewriter was a workhorse for decades at my hrandfather's fruit and vegetable wholesale business on Dock Street, Philadelphia. After my grandfather's retirement, the typewriter was used by my grandmother for family correspondence as well as a play toy for all the grandkids. This machine was built to last! 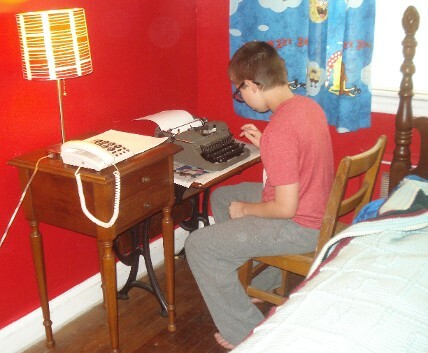 As various grandchildren ( now in our 50s and 60s ) have visited here recently, we have all enjoyed the memories brought back by typing a few lines as well as watching the latest generation struggling to use the analog predecessor to their modern keyboards and touchscreens. Great fun all around! Again, my thanks to you and Karl Business Machines. for a terrific job and especially bringing back all of our typewriter memories. Recently, our approximately 40 year old cash register ER A330 became locked . I was unable to locate anyone to repair our machine in California and I was lucky enough to locate Rick; he saved the day. Rick promptly sent me the part I needed to reset and propram my machine and patiently guided me through the process over the phone. I love this register and am loath to purchase a new one and feel confident that this one has years left in it, particularly since I now have someone who can help me care properly for my machine. Rick is kind, helpful and knowledgeable and I would recommend him to anyone. He really saved the day, I am grateful! Thank you! This typewriter was a Panasonic KX E 708 purchased on or around Nov. of 1994, with the restoration alone it looks like a classic car that has been restored. I can't thank you enough first for your time and patience in listening to the problems and being able to execute repairs on parts that were damaged on this machine that I held very little hope you could find any network...After a diligent search between NYC and NJ it was you, only you and your company that was willing to look at the typewriter, even. There really aren't too many technicians working on "electronic typewriters" and for machines that are in his vintage. I have another machine up and ready to be brought in for your diagnosis and complete repair. Add all of this to the fact that you always make me feel very welcomed. Thank so much. I purchased an eraly 1960's Olympia SM7 from KBM's. The machine is pristine and impeccable. It almost looks brand new. Roberta explained the operation and maintenance of this fine manual typewriter. What a gem. I would easily recommend this unique store to friends. Just wanted to tell you how pleased & happy I used Karl Business Machines Co. My typewriter feels like "NEW" after the repair! What I appreciated also was the "loner", so I was able to still get my work done! Thanks again for a GREAT & PROFESSIONAL job. I recently had a vintage Underwood 5 typewriter brought in for a complete refurbishing, and I couldn't be more satisfied with the results. I originally purchased the typewriter for display, but after speaking with Rick, I felt confident in the ability of the staff at Karl Business Machines typewriter shop to get my Underwood typewriter back to working condition. From the rollers which were replaced to the meticulous cleaning to the customer service from start to finish, it was a first class job. My Underwood typewriter works beautifully and looks fantastic. I will not hesitate to bring in my second Underwood typewriter, and I have already highly recommended Karl's typewriter shop to other vintage typewriter enthusiasts who are in need of cleaning, repair or supplies. I'm so glad to have found this gem of an operation. Rick at Karl Business Machines did a terrific job. I came across a 1930's circa Underwood typewriter in storage at a business I purchased in Philadelphia. His expertise was obvious when I bought the machine in for an estimate. Rick got it into perfect working order and was kind enough to give me a lesson and answer my calls when I coudn't figure out that the L key is the #1. Not sure how much I will use it but the retro feel is great. My 15 year old who turned in his iPhone for a flip phone likes it too. I can recommend KBM without hesitation. Karl Business Machines is a gem. I have brought multiple typewriters, from 1940's manuals to a vintage IBM Selectric into the shop to be cleaned and repaired. They do an amazing job and are very detail oriented in a way that comes from knowing their field backwards and forwards. Customer service is also always pleasant and professional in the shop and over the phone. I will not hesitate to recommend Karl Business Machines, especially if you have a vintage typewriter you would like to have restored or repaired. Pass the word, these guys are good! I recently sent my Panasonic WP-1505A to your business for repairs of its multiple defects and damages. Upon delivery and return to my care on August 7, 2013, the machine was found to be repaired and restored to a former pristine condition, if not better than when I purchased it over 20 years ago. I am extremely appreciative of your professionalism afforded by the craftsmanship that went into repairing and restoring it to it's present condition. It is comparable to a new machine just purchased. This unit was handled as if it were your own under repair. Your representation of your company is a heralded credit to your chosen profession. I believe the greatest publicity on can give of a business is word of mouth from a satisfied customer. I am that satisfied customer. People whom I know have been advised what you have done with repairing and recovering my unit. Unquestionably I endorse your craftsmanship hands down. I can not express to you adequately my total satisfaction for what has been completed and returned to me. Outstanding work, Thank You immensely! I'm a video producer in California who uses a Brother Ink Jet Word Processor to write my letters and proposals. For the past 17 years Karl Business Machines has kept my machines running smoothly. I have two word processors and two monitors and when one breaks down I immediately ship it to Karl Business Machines for repairs. That way my flow of business correspondence continues without interruption. Karl Business Machines is very, professional, and easy to talk to and his rates are reasonable. I value him as a key supplier to my company. Karl's has been repairing my beloved Selectric typewriter for several decades, as I was born in 1924. Thanks to him, my machine is as good as when my husband first brought it long ago. Knowing I would use it, and I have been using it all that time. I have a computer, but frankly it doesn't compare with my Selectric when it comes to preparing a copy since Karl's has been taking care of it. I highly recommend Karl Business Machines. My heavy color printer was picked up, and repaired, redelivered and tested in my home, and worked perfectly The problem was a difficult one to solve but this company found and replaced the defective part. In advance the company gave me repair options and kept the cost to a very reasonable amount. I am very satisfied with both the service, the price as well as the courtesy of the repairman/delivery man. Rick at Karl Business Machine treated us like kings. We had a vintage typewriter from the estate of my wife's grandmother, that my daughter wanted to use. Rick did a tune up and cleaning on it and it's working great. Wonderful customer service. We recently had a repair done on our Swintec 7040 typewriter from your company. We were very pleased with the courteous, service, and excellent work done. We give your company five stars for service. We will be sure to recommend your company in the future and we will be happy to call on you again for future repairs. Thank you again for great service. I wanted to purchase a typewriter for my home. I began to search on-line for one when I realized I did not just want a typewriter, I wanted an antique one. After locating Karl’s Business Machines in New Jersey, I began to view the many choices and time periods for typewriters from their web-site. I selected a 1920’s Royal manual one and contacted my niece Danielle to coordinate the purchase and delivery of it. She and Rick collaborated on the necessary details of the order and later the typewriter arrived. Rick was helpful and provided many updates to my niece on the status of the typewriter prior its arrival. I am very happy with the typewriter and have used it several times so far. The goal is that this typewriter will be handed down to other family members during the next several decades as a family heirloom. I hope that future generations of our family will appreciate it as much as I do. Special thanks to Rick Dutczak of Karl’s Business Machines. Also a special thanks to my niece Danielle for taking care of all my important matters. Contact our company in Hamilton Township, New Jersey, to learn more about the equipment repair services we offer.